The best plan for your beach vacation is in Biosurfcamp. 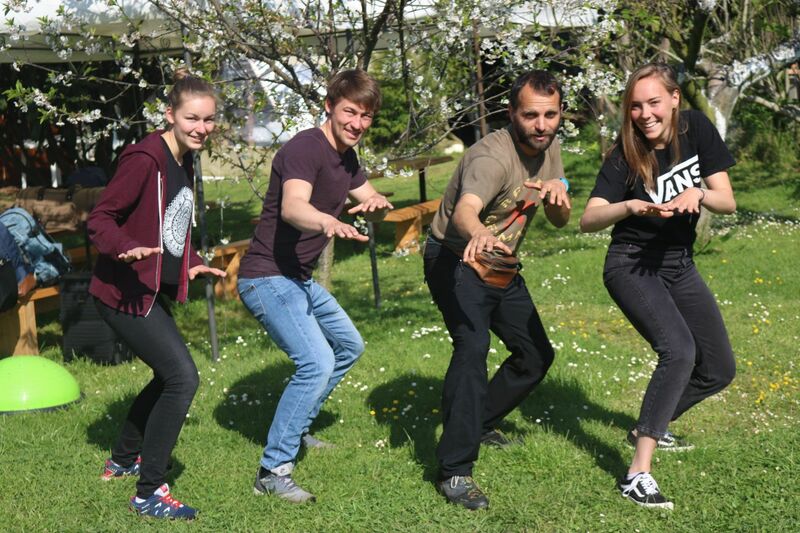 We offer you an original combination: a great group atmosphere, the tranquility of a unique place to rest and connect with nature and with oneself. All united through the best action sport of summer, surfing. 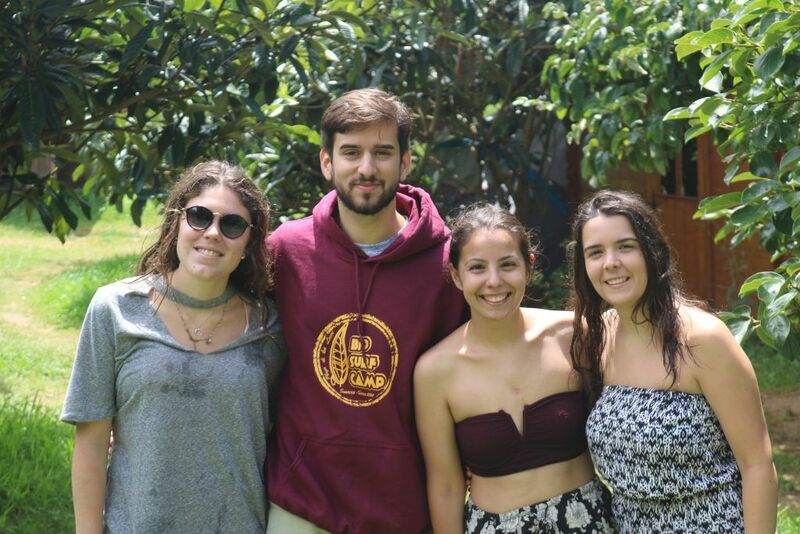 Nature is the hallmark of Biosurfcamp, get away from the traditional beach and umbrella vacations and enter fully into a surfing adventure, contact with the environment and relaxation hand in hand with this surfcamp! 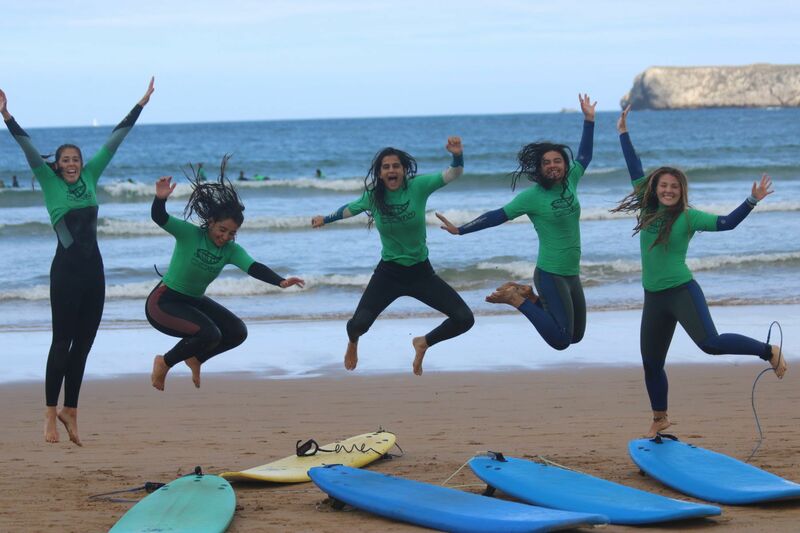 In our surf camps for adults you will stay near some of the most important beaches in Cantabria, such as Los Locos and La Concha. In addition, you will be in one of the areas with more nightlife in Cantabria. The bars, restaurants and pubs are famous throughout the province because Suances is the seaside town with more summer life in Cantabria.. Relaxation and rest are hallmarks of our adult surf camp. Inside our facilities you will enjoy many places where you can forget about routine stress and rest. We have an area for meditation and yoga that can be used at any time of the day, a dry sauna and outdoor contrast showers ideal for use after surfing lessons, as well as a natural meadow where you can lie down under the Sun..
Surfing is the main engine of our camps. We teach surf courses from early morning until late afternoon. The small groups for the classes are created depending on surf levels and sea conditions. We will travel between our facilities and the beach by van. The duration of the classes is 2’5 hours since we leave until the return to our facilities. Also, you will have the material to surf on your own throughout the day, if you have chosen the surfcamp option and, in this way, you can continue enjoying what you have learned in the daily courses with our instructors. 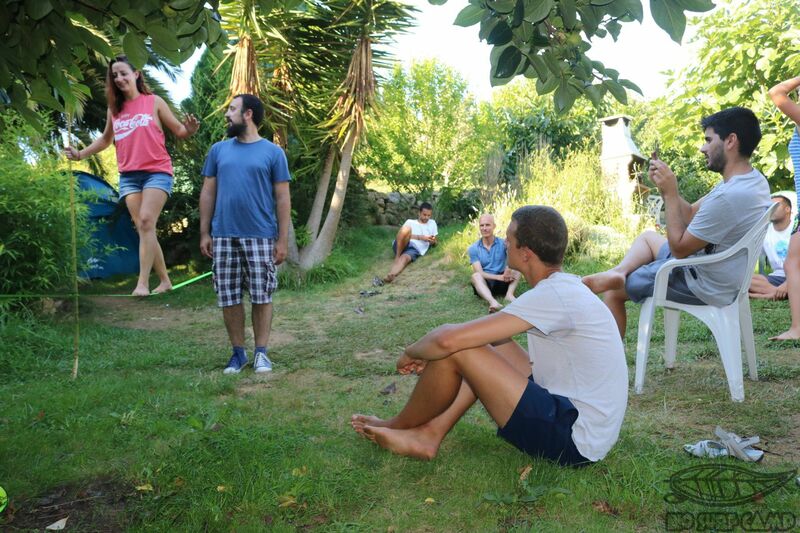 What does adult surfcamp include? Full buffet breakfast: coffee, milk, cocoa, infusions, fruit, homemade sponge cake and bread, jam, butter, cheese, sausage, tomato, juice..
Two and a half hour courses with all the material and insurance. The time of the course includes the displacements, the practice of the technique in the sand, the heating and the practice in the water. Loan service for material outside of the course with the surf package + accommodation*. Additional services included: kitchen, gazebos, sauna and contrasts shower, wifi, yoga area, barbecue, outdoor cinema sessions and screenings. Indoor surfing area with Slack-line, longskate, skate, indoboard, bosus and surf library with books, magazines, guides and specialized videos. 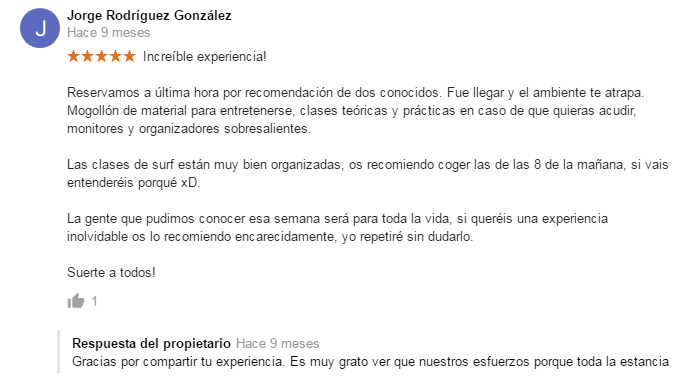 Discounts in surf theory classes, body balance, yoga and other activities proposed in the surfcamp. Discounts for groups of 5 people and for former students. * If other courses coincide with many material requests, the available material will be distributed equally. Our surf camps for adults are intended for men and women of all ages. 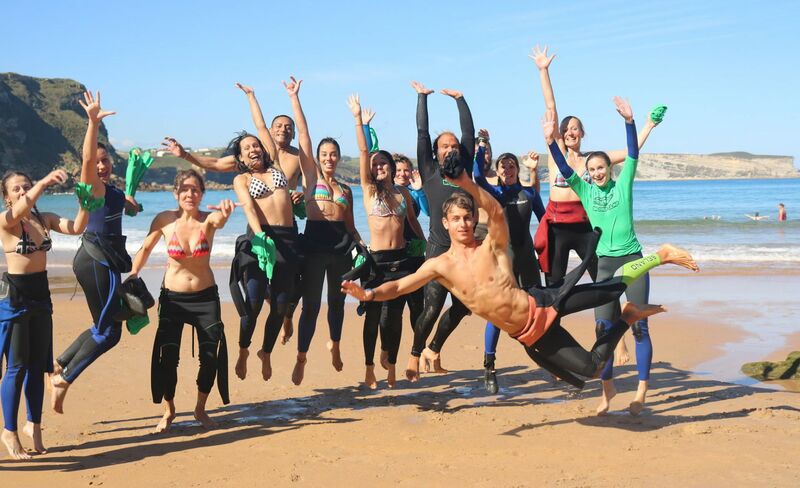 Any person over 18 can come to enjoy a surf camp for adults totally unique, different and with the best summer atmosphere in Suances. In addition, minors can also participate in surf camps. For this they must be accompanied by an adult during their stay. Where are the surf camps for adults? 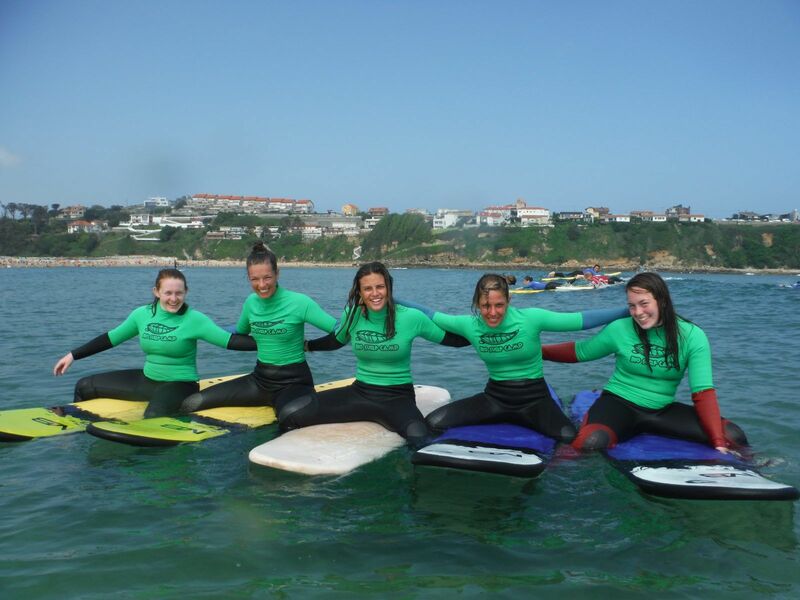 Our adult surf camps are held in Suances, Cantabria. Suances has some of the best surfing beaches in northern Spain, among which the Los Locos beach stands out due to the high quality of the waves and its peculiar northwest orientation. It also highlights the beach of La Concha for its large area and the variety of its waves and breakers, perfect for the initiation near the shore and the improvement in the mouth and the most distant breakers. A weekend of 3 surf lessons and 2 nights of accommodation. One baptism of 1 surf class with 1 night of accommodation. If you prefer to be with us 5 surf lessons and 5 nights’ accommodation, you will have the possibility to create your own package. Also, Suances it’s located in a very central location, which allows us to reach Santillana del Mar and the Altamira Caves in 5 minutes, Comillas in 20 minutes and Santander or San Vicente in 30 minutes and Bilbao or Pots and Picos de Europa in hour and a quarter. In addition, Suances is the seaside town with the best parties in Cantabria, since every Wednesday thematic parties are held in its streets and premises.